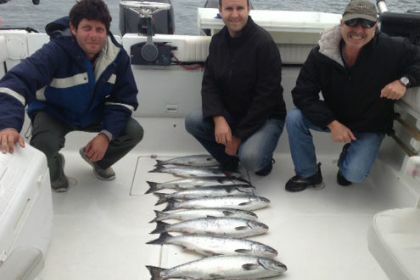 Victoria is great place for fall, winter, and spring fishing as well as being a popular international destination. Chinook salmon and halibut are what is mostly what is caught here. 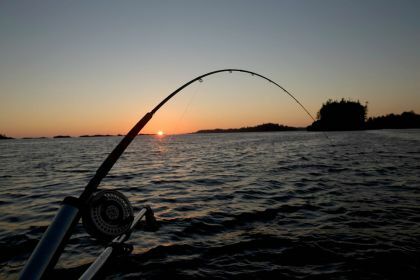 October to May see pretty consistent Chinook salmon fishing and it is possible to catch halibut all winter long, however February to April would be considered good months for halibut. We don’t have to go far most days as there is often good fishing at a few spots just a few minutes out from the Victoria harbor. One great thing about salmon and halibut fishing in Victoria is that you have good protection from the open ocean so that should make those subject to motion sickness very happy. Its great to reel in your salmon and halibut while feeling great as well! We think it is important to have heat and cover during winter months. Even though it usually stays above freezing, it can get a little nippy on the water. 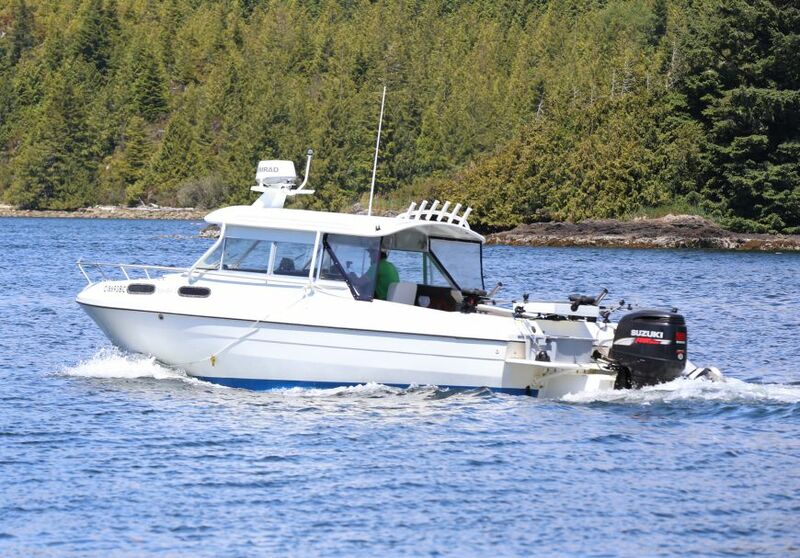 We fish our 27′ Apollo 2 in Victoria and we designed the inside to seat up to 5 people under cover. With this current design the heat stays inside the cabin very well. Whether in sun or rain, you will be warm. For all those who have spent a day without heat on the water, we think you will appreciate this. We often see trends in fishing and Victoria is having an upside trend again in 2016. Typically you see a few Chinook caught per winter fishing charter, but right now we are seeing very good numbers of feeding Chinook salmon. 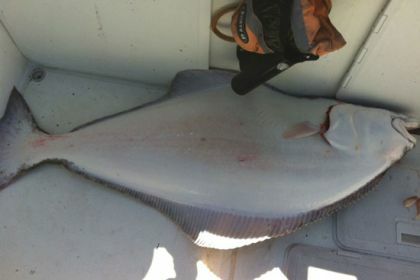 Halibut numbers have been steady and you can generally expect 1-2 halibut per fishing trip. How close do we fish to the harbour? There are two main harbours that people leave from. One is the main Victoria harbour and one is Oak Bay. Both are good locations to leave from depending on where the fish are. We leave from the main Victoria harbour and are officially in Esquimalt, though it is very close to the Victoria downtown. We are just a little closer to the harbour entrance and that means less time motoring out. Our rates are on our Day Trips page though our package rates apply as well. With Victoria there is such a wide variety of accommodation available we often will customize you package and can give you a rate quote. 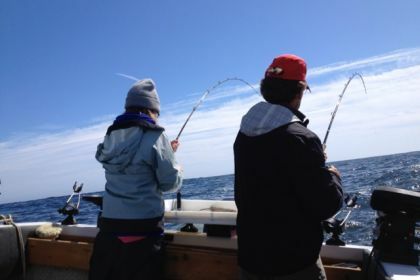 Ask us about our fishing charter specials we are running for March/April in Victoria. Get your spot reserved as soon as possible! This is a private mailing list and will never be sold or given away for any reason. You can unsubscribe at any time.